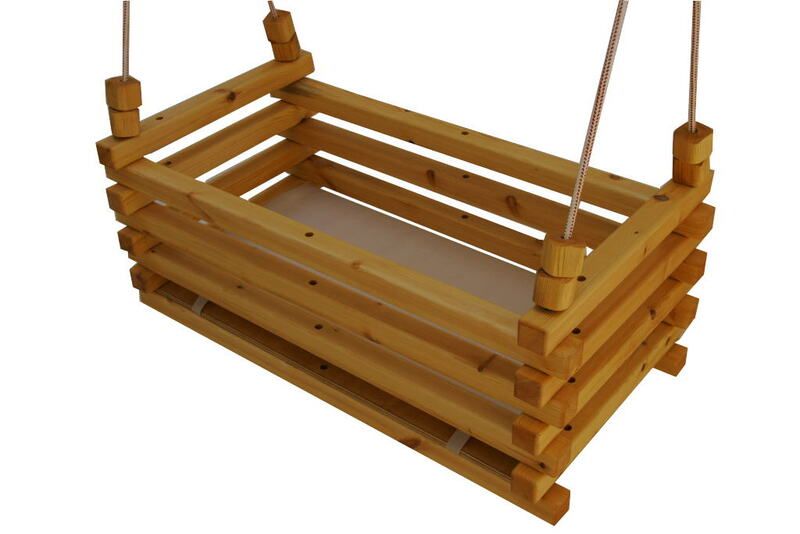 This listing gets you plans for this easy to make DIY hanging crib bassinet & double swing. Swinging soothes baby, tried and true. 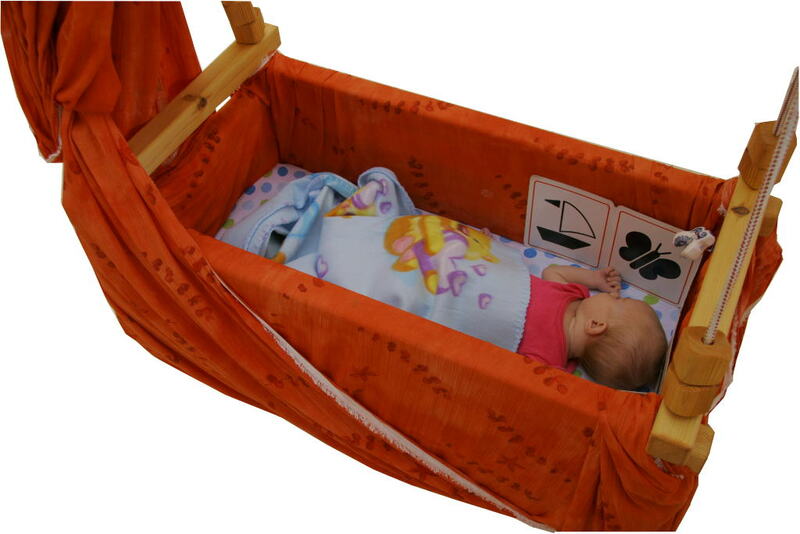 The hanging crib is good for baby from newborn to about 6 months. Then, after baby can sit, reconfigure the parts to convert to a double swing for more fun for baby or toddler. Our baby, pictured here, loved being in her hanging crib . We used a long piece of gauzy material to wrap around the whole thing to keep unwanted insects away. When she grew out of it, she loved swinging. If you purchase plans, you get detailed drawings, materials list, a cut list, and tips and tricks for making this convertible crib bassinet or double swing. I can also sell you a ready product, complete with a 4 cm material covered foam mattress, rope, clips, child safety straps for the swing position, and hanging bar (material not included). This item is heavy, and qualifies for free shipping only in Israel. If you live abroad and want to purchase ready made, Contact me! Any more questions, Contact me!